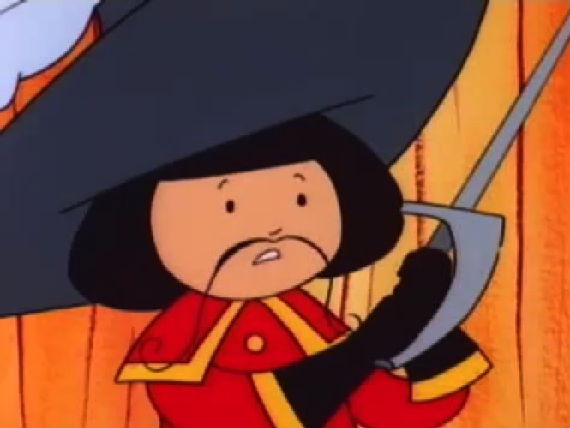 I first saw this…thing… A year or two ago on YouTube . 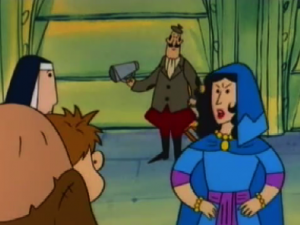 The sound was off and the picture quality was damaged beyond repair, almost a visual metaphor for the episode itself. 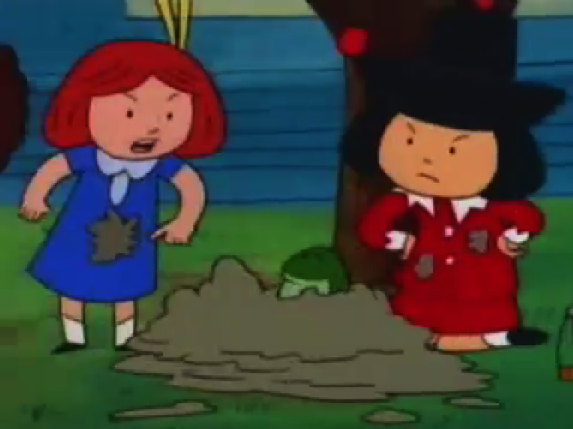 I actually remembered watching other episodes of this show when I was younger and my sister, for whatever reason, really got into them. Is it bad that I’ve seen this at least two or three times? Mr. Doo makes that connection because Quasimodo is an insipid, shallow jackass, obviously! 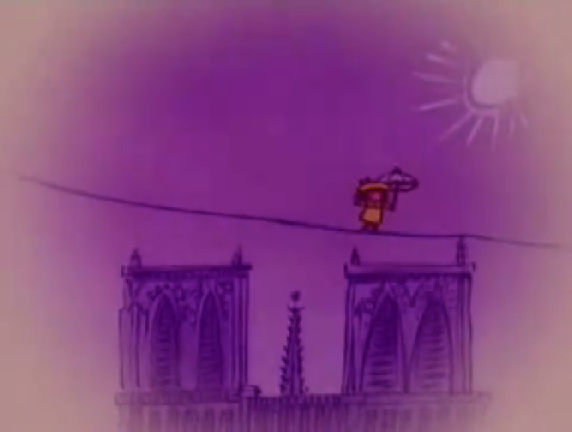 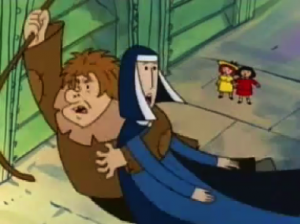 LOL at Quasi swinging to grab Esmeralda INSIDE of Notre Dame. It’s a good thing they interrupted the filming of that movie as it was shaping up to be one of the worst adaptations yet! 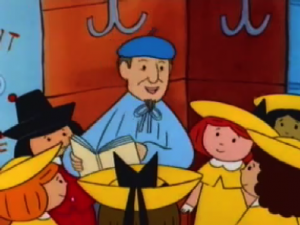 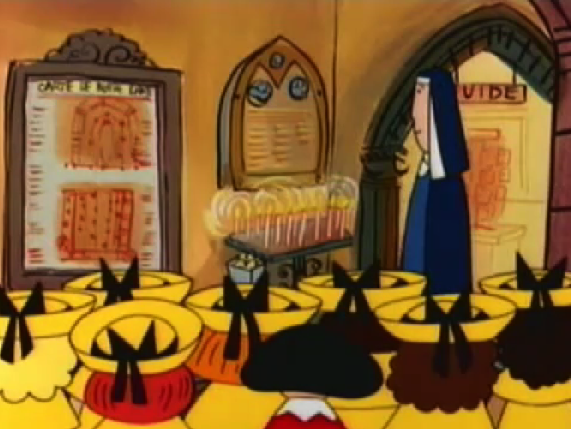 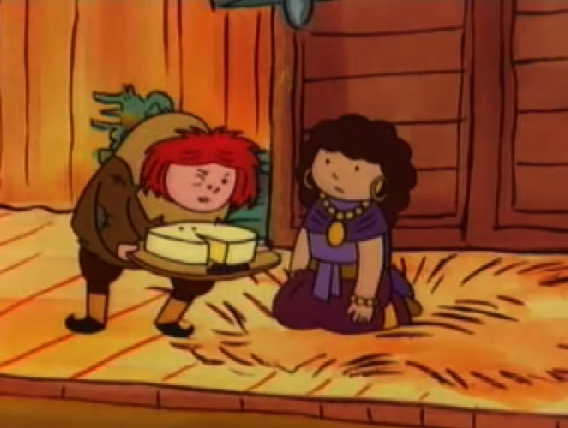 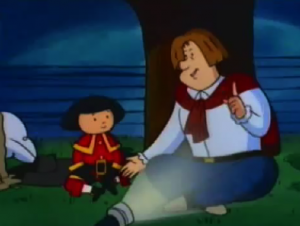 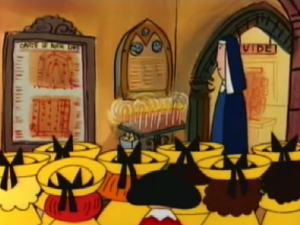 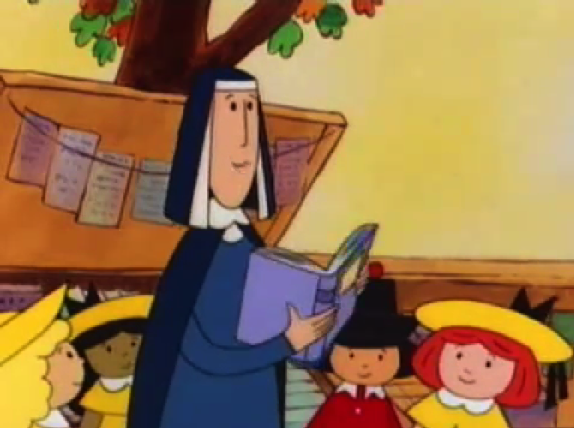 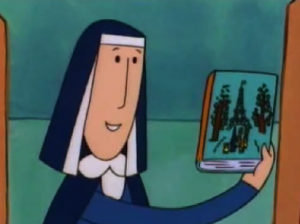 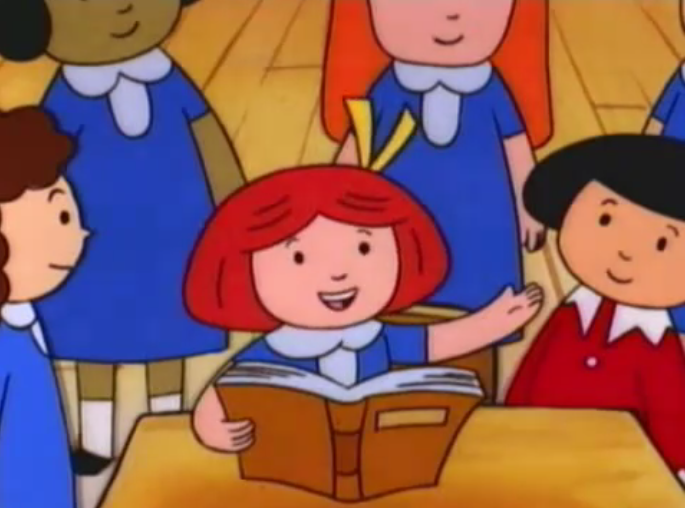 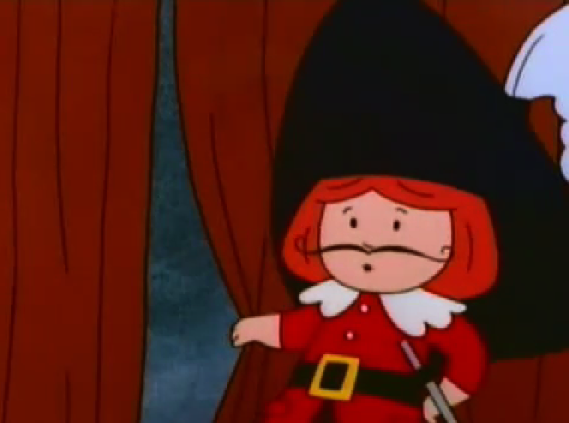 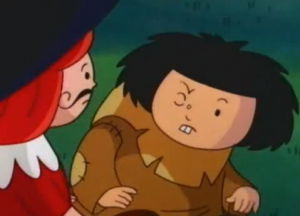 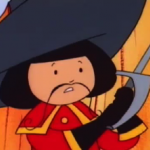 Is it bad that I thought Pepito was just Madeline with black hair in your screencap? 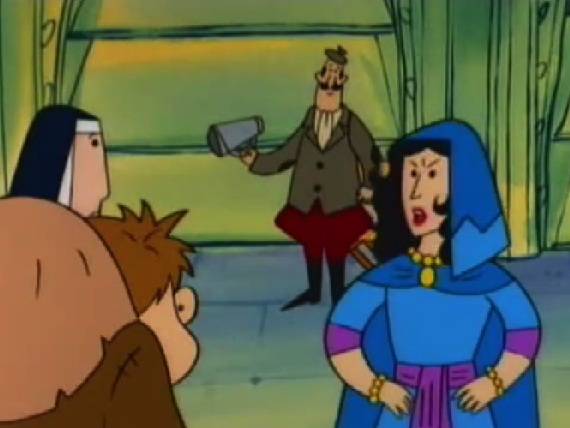 I forgot how generic the character designs were in this show, heh.